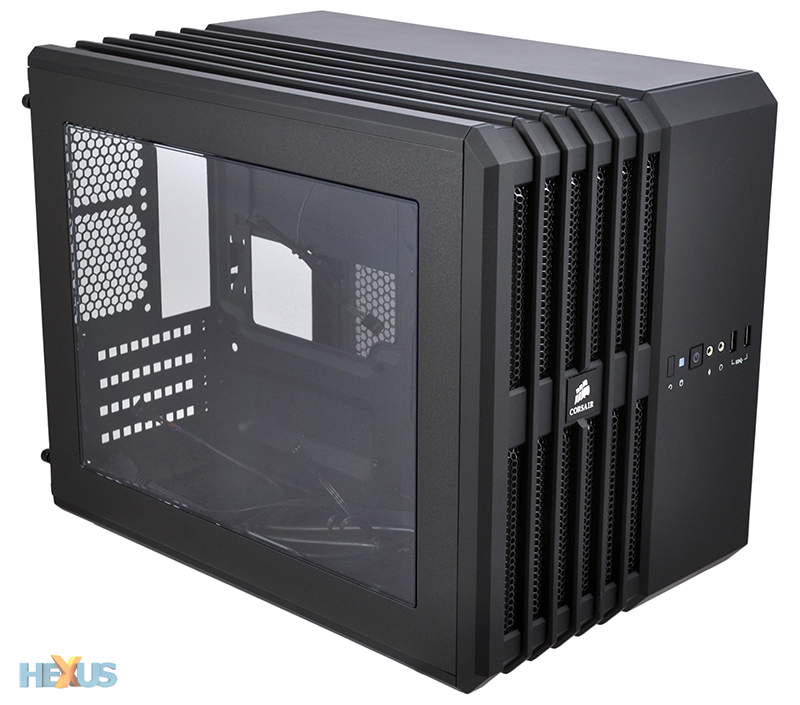 Corsair has launched a dizzying array of new chassis over the course of the past two years, and the sheer amount of choice makes it hard to pick a stand-out solution. Though, if we really had to pick just one case that has caught our eye, it might well be the Carbide Series Air 540. Launched back in June of 2013, the cube-shaped case offered something a little different to the norm and worked well enough for us to call it "Corsair's cleverest solution thus far." But the Air 540 was a first attempt, and that meant it wasn't without a few provisos, the most obvious of which was size. With a rather-large 458mm (H) x 332mm (W) x 415mm (D) frame, the chassis was stout yet bulky and didn't quite feel at home on or below a desk. 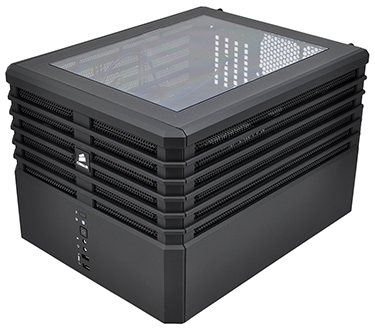 Recognising the fact that many consumers were calling for a smaller version, Corsair unveiled the Air 540's smaller sibling back at Computex 2014. It's officially called the Carbide Series Air 240 and launches today priced at £70. The price tag makes the Air 240 some £30 cheaper than its big brother, but it's the slimming-down in proportion that has us most intrigued. Measuring a more manageable 320mm (H) x 260mm (W) x 397mm (D) in size, the Air 240 is 138mm shorter, 72mm narrower and 18mm less deep. That's a heck of a difference, so much so that overall chassis volume has been cut by almost 50 per cent. Yet this shrinkage doesn't mean that the littler option has lost its charm. 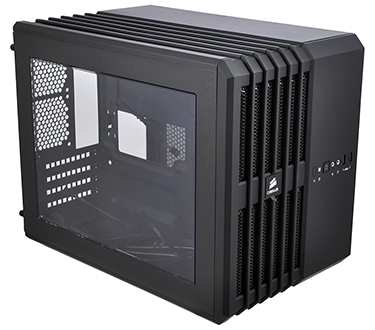 Quite the contrary, as we reckon the smaller frame naturally lends itself to the cube-shaped design, and Corsair has retained most of the original design elements - these include mesh channelling on the front and top, as well as a near-full-size window in the side panel. 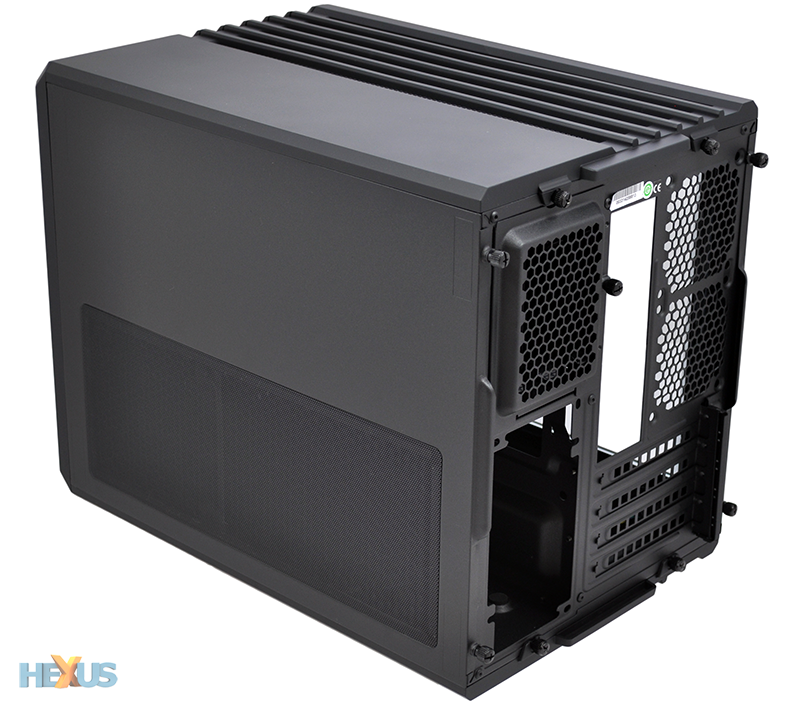 It's a very nice-looking package, and if you're tiring of all-black builds, the Air 240 will also be available in white. One of the most unexpected highlights of the original Air 540 was that the enclosure looked great when flipped on its side, turning the windowed panel into a makeshift panoramic roof. The same trick works just as well here, if not better, as Corsair has responded to this end-user trend by making the alternate orientation a feature. With the Air 240, a set of four stick-on rubber feet are included to prop-up the case when it's laying on its side. The chassis actually has no feet as standard, so you'd want to attach the stick-ons irrespective of which way up the PC will sit. Handy to have the option, though we do wonder if magnetic feet would have been a better solution. What is clever though is the case badge - it's magnetic and can be popped out and rotated to suit your preferred orientation. Those are the kind of finishing touches that make a difference. Elsewhere, we can see a removable magnetic filter lining the PSU vent, and four expansion slots that allow for multi-GPU builds. 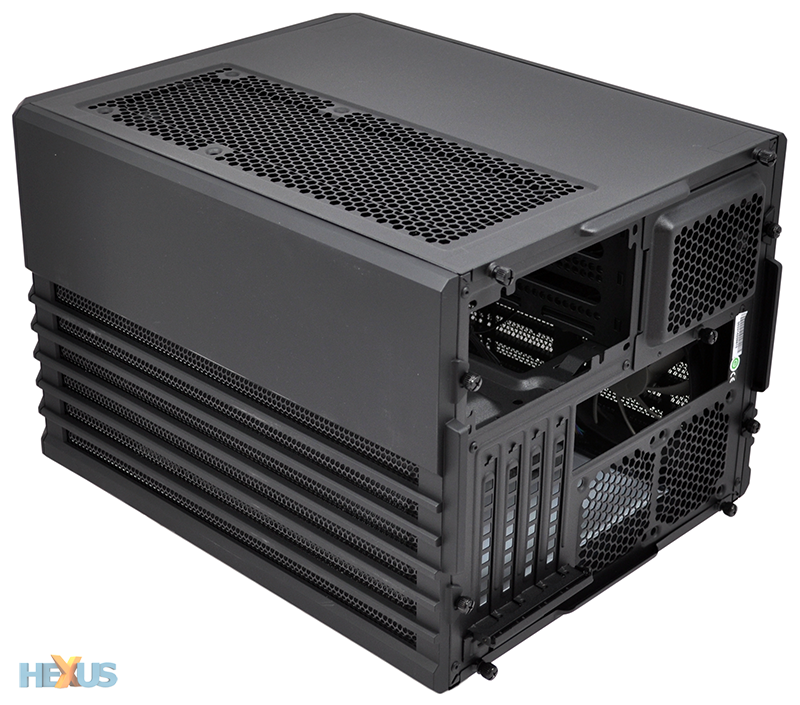 But let's not get carried away: some compromises must have been made to enable the smaller form factor, so let's open up the Air 240 and take a look inside.